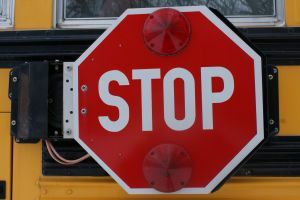 When we send our kids on the school bus, we expect the driver to operate the vehicle in a safe and responsible manner. That may not always be the case. According to a recent news article from the Boston Globe, a school bus driver was arrested for allegedly operating a bus under the influence. At the time, the vehicle was carrying a high school track team home from a cross-country meet on Cape Cod. Authorities report a a coach on the bus became concerned when the vehicle was randomly speeding up and slowing down and weaving off the road and hitting the rumble strips. The driver allegedly ran red lights and took the wrong exit off the highway. The coach used his cellphone to call police. After police pulled over the bus, the driver failed sobriety tests and refused to take a breathalyzer. The police arrested driver on charges of operating under the influence (OUI), negligent operation of a motor vehicle, child endangerment, and OUI Third Offense. Driver was arraigned by the Framingham District Court and held without bail pending a detention hearing to determine if he is a danger to society. Even though court records indicate he has two prior alcohol-related offenses, those occurred before 2006. That’s relevant because that was the year the Commonwealth of Massachusetts enacted tougher restrictions for commercial drivers with respect to drunk driving convictions. This driver would have been exempt from the more stringent requirements during past offenses. Still, one questions why the driver’s record did not bar him from a job as a school bus driver. School officials were quoted as saying they adhere to a zero tolerance policy with regard to drivers caught operating under the influence. They touted the fact that the school has a tougher zero-tolerance policy than is required by state law. And yet, the driver was still hired. Had the crash resulted in injury, this might have been grounds for a claim of negligent hiring. These offenses should taken very seriously in Massachusetts. As our Boston drunk driving lawyers can explain, if the allegations are true, this driver placed the students and everyone else who shared the road in grave danger. Alcohol-related crashes are always a serious matter, as they often have fatal results. However, when a commercial motor vehicle is involved, a vehicle that weighs upwards of 40,000 pounds and carrying dozens of people, the results can be even more tragic. When a drunk driving accident occurs involving a bus or other commercial motor vehicle, it is likely that car crash lawyers will be able to file a case against not only the driver, but also the owner or operator of the vehicle. When a crash involves a large vehicle like a bus or tractor-trailer, damages can easily exceed hundreds of thousands if not millions of dollars. Usually, the driver isn’t personally going to have enough insurance or assets to fully compensate victims for their total losses.This is why pursuing a claim against the employer or owner of the vehicle is important. The motor carrier will likely have an insurance policy with significantly more coverage, and the company may have other assets that can be used to pay a settlement or satisfy a judgment if the case went to trial. One of the most important things victims of a crash can do is to make sure to get the names of all witnesses and their contact information. It may difficult or even impossible to track these people months later. You cannot necessarily rely on the police to take down all names when creating a vehicle crash report.